Our mission is simple – to save you maximum cash!!! THE NEW ALTERNATIVE BUYING EXPERIENCE. We pride ourselves in providing an alternative choice how to save thousands on a used car purchase. Call us today!! You'll find the best deals on cars here because they carefully select whole sale rebuilds with minimal cosmetic damage. Their quality is great and requires state inspection before you buy. T.J. is a great person and low pressure salesman. He helped my daughter and I select a great 2017 Ford Focus. We were in and out of the office for the sale in about 30 minutes. Great place to buy a car!! By the way - if you use USAA they are in the car buying system and you can save .5% on your loan!! Another bonus! 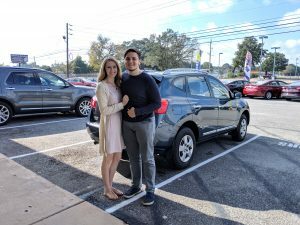 Buying a vehicle from Scott was the best experience I could have had. The price was right and the service was superb. Scott was respectful, knowledgeable, and kind - I would reccomend him, and Gulf Beach Auto, to any of my friends or family members looking to purchase a vehicle. Bought my first car from them 2 years ago, just bought another one, couldnt find a better deal, you made me happy again, thank you so much!!! Bought a vehicle from TJ this morning. The whole process was very easy and fun. They were upfront about the price and what to expect. Best car buying experience I’ve had. My wife and I had been looking for a few weeks for a reliable vehicle. We didn't want to spend a lot and didn't think our budget would afford a lot of car. We left today with a fantastic deal on a 2014 Hyundai and under budget. We test drove 4 different vehicles before deciding to get the Hyundai. Steven and Zac were honest and open and didn't pressure us into making any hasty decisions. They gave us time and space to make our decision... how could they not with the quality vehicles on the lot and unbeatable prices. I encourage you to drop by and see what they have to offer when you are looking for your next vehicle. It will save you a lot of time and headaches. Scot was friendly, professional, and got us a great deal on my daughters first car. I will be back! Scott Mancuso is one of the best car guys I know! Bought a car sight unseen from Terrell at Gulf Beach Auto and was not disappointed. I live in Pennsylvania and saw the car I wanted all the way down in Florida at Gulf Beach. After reading the reviews (and sending a mechanic to inspect) I decided to the pull the trigger. The car was exactly as it was represented. Terrell and Gulf Beach offer good cars at good prices. Definitely a place to shop for a new car. Great prices and top notch quality. It is also a pleasure to deal with such friendly personnel! Thank you for making every shopping experience so easy! Gulf Beach Auto is the best dealership I've ever visited. I have bought two cars from them and each time went away happy. I got a good price on a great car and the paperwork was finished in about 10 minutes. Great businessmen and I recommend them to anyone. Second time buyers for a reason. Thank you! Scott Mancuso was the greatest. Answered all of our questions on the vehicle we were interested in. Fantastic experience. Highly recommend you shop and buy from Scott, you won't regret it. Thank you to TJ for a super smooth, easy, and very enjoyable experience! We are thrilled so far with our “new to us” car! Although the car owners manual wasn’t in the car, he and his team ordered one same day and had it shipped to our home within just a few days. We are super appreciative of that extra service and look forward to recommending you to our friends. Thank you! My experience with Gulf Beach Auto Inc., was fantastic!!! The whole staff was wonderfully nice and Scott was just the icing on the cake. I love my new car, it is well kept and great service. Nice and friendly customer service. TJ was very helpful and made things go smoothly. I absolutely love my car! GBA is the dealer you're looking for to get the biggest bang for your dollar...we own a loaded Lincoln MKZ that we would not be able to afford at a Lincoln dealer. The value of a rebuilt title is in the very beginning of ownership. I especially love the air conditioned front seats on a hot summer day. Thank you GBA/Igor. Terrell was very knowledgeable about their inventory. He made what I thought was going to be a stressful situation very easygoing. I’d rather go to the dentist than buy a car but Terrell has changed my thinking on that. Thank you again! Gulf Beach Auto was great. My daughter and I received exceptional customer service. Zac (salesman) was outstanding! In all of my years of dealing with car salesmen, I have never met a salesmen more genuine and helpful as Zac. He went above and beyond in helping my daughter and myself. Zac was very courteous. We were able to take our time looking at cars and taking all the time we needed to test drive vehicles as well. There wasn’t any rush or pressure at all. There was a good selection of vehicles; good quality at low cost. When it came time to buy the car, Stephen McClellan (Manager) was outstanding as well. He was very helpful, courteous, and knowledgeable. I bought a 2014 Hyundai Elantra for my daughter. It was the exact car that we were looking for. I negotiated with Stephen and was happy with the price that I paid for the car. This was the easiest process I've ever had in purchasing a vehicle. Stephen and Zac stayed well past closing to ensure that my daughter and I were well taken care of. We drove three hours (6 hours round trip) to get to Gulf Beach Auto. It was well worth the drive! Exceeds All Expectations! Exelent customer service and great prices! I end up having the car I LOVE and extremely satisfied with! Gulf Beach Auto representatives are always there if I have any questions regarding the car. 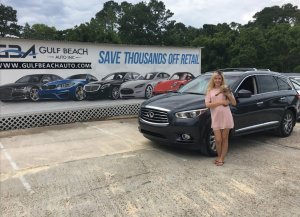 I highly recommend Gulf Beach Auto for anyone who is looking for the car of their dreams! I’ve purchased 3 vehicles with Scot over the years! He is very easy to work with and gave me a great deal with no hassle!!! I’ve referred him to several friends and family members that have all been very satisfied with his prompt service and care! Fast service great work ! The owners of Gulf Beach Auto are fantastic. They are polite, provide a non-pressured sales experience and provide outstanding vehicles. I have met "Glib" on several occasions and have been very impressed with his personality and attitude. His mechanic is extremely intuitive and can solve any issues. I would recommend this company to anyone looking to purchase a different vehicle! Our car buying experience with the sales agent TJ was AMAZING. TJ was very knowledgable, informative, and courteous. He was not a pushy salesman and he gave us ample time on the car lot to shop. We will definitely recommend Gulf Beach Auto to anyone. Gulf Beach Auto prices are very reasonable and they make your buying experience satisfactory. Next time you are in the market for a vehicle, go see TJ at Gulf Beach Auto !!! This is the second car we bought from these guys both Scott and Igor were very friendly and answered all of our questions. They made a point to make sure we were comfortable with our car buying experience. If your looking for a great car for a great price give them a try. TJ was my sales rep for a 2015 Chevy Malibu, and even though my situation wasn't ideal in dealing with, he certainly went above and beyond to help. Thank you for helping me get back into a vehicle. High recommend. Bought a 2012 Honda Civic from gb auto. My salesman Glib was very professional and straight forward. I also have to give a shout out to Uri the shop manager for being dedicated as well. 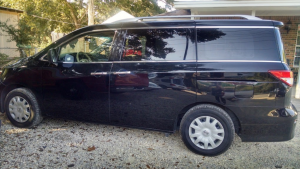 The professionalism and service I received from gb auto far exceeded what I have experienced at any of the major dealers in Pensacola. (Pete Moore, sandy sansing, bob Tyler . I wish them the best of luck! Can’t recommend enough! The owner was completely flexible and allowed us to get a preinspection check from a trusted mechanic who told us that the engine was in fantastic condition. They have the best deals in the area - recommend going in and asking for Scott, he was honest and transparent on how they are able to save you thousands! Great customer service and variety of inventory. Will definitely recommend to friends and family. I highly recommend Gulf Beach Auto! Today I bought my second vehicle through them. I got my first one in 2014, and now it was time to upgrade. They have the lowest prices in town! They also trade in your old vehicle for the best price! The stuff is very friendly and not pushy. They make buying a new car a pleasant experience. They were very patient with me and very helpful. Courteous service dependable and decent prices. They do everything for you including license plate and registration’s. They stand by their word. Honest car dealer. I have bought a lot of vehicles in time. The owner and staff were very helpful through the process. Bought a car for a great price that runs excellent. Most of all they very honest which means a great deal to me. I recommend them to anyone. I love my 2014 Kia Optima I bought here! Great place to save money on a good car. Scott was very helpful and made the whole process very easy! Scot gave me a great deal on our truck, great to work with. Will be back for sure! We just bought our 2nd car from this dealer, 7 years after our first purchase. Both prices were great and the guys were easy to deal with -- not the pushy salesmen I have encountered at other places. We'll be back for number 3 in a few years! Dealer is friendly and will let you test drive more than once. fairly good deals. Just bought a car from here and love it! Thanks to the Gulf Beach Auto team for helping me out last weekend! I purchased a car back in January and the past few weeks I've been having an Alarm issue and come to find out it was a leak that was causing my fuse box to get wet and go hywire. I didn't know who to go to so I figured I'd they could at least give me some guidance on who I could take it to for dignostics. They fixed the issue for me on the spot! They could have told me to kick rocks since every vehicle is sold as is. Now I don't have to bite all of my nails of when it rains in fear that my alarm will go off and my car won't work properly! Big thanks!! First time purchasing a car from a lot. Went completely by myself and I was worried I was going to get ripped off but the team at Gulf Beach Auto took great care of me. I'm absolutely in LOOOVVEEEE with my 2015 civic with only 5000 miles !!! I wouldn't have been able to find this car anywhere else for the price I paid here. Great trustworthy people I reccomend them to everyone in the Pensacola area. Their lot is full of only top of the notch cars. Gulf Beach Auto Inc. was incredibly efficient and helpful. i walked in after using True Car to inquire about a vehicle and within 3 - 4.5 hours i was driving off the lot with an amazing vehicle. 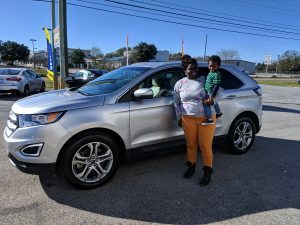 all the staff were very friendly, approachable, and knowledgeable about what they could do to set me up with the best deals to save the most money. would highly recommend to anyone who is thinking of buying a ca in the local area.